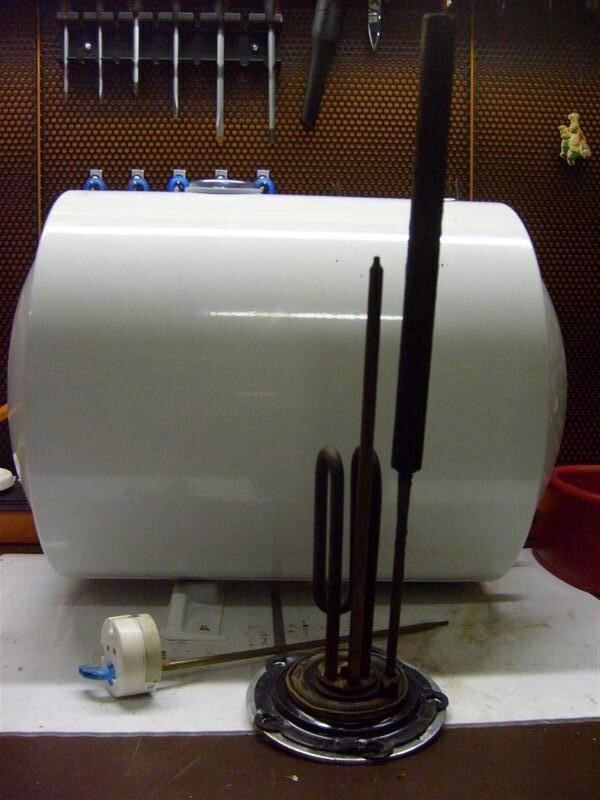 How to drain the water from the water heater "Termex"
Long trouble-free operation of the boiler "Termeks" depends on its operation and care, which means at least once a year to disassemble the heater and clean it. Unplug the water heater. To disassemble the boiler connected to the mains, is strictly prohibited! Remove the cover located at the bottom of the water tank, and disconnect the wires. Drain the water from the tank: to do this, put on the drain valve of the boiler rubber hose, the diameter of which would correspond to the diameter of the valve. Then open the valve and disconnect the heater pipe feeding cold water (pre-seal the tube, the feed from the boiler hot water). Drain: lower the free end of the hose in the sink or the toilet and leave for half an hour. Look at the bottom of the water heater large bolts. Substitute under the boiler some deep container and remove the bolts. Typically, these fasteners are tight to the tank, so you'll have to exert much effort to Unscrew. If after several attempts to Unscrew the bolts still did not work, remove the water heater, flip it to the side and put on some smooth surface, for example, a table - so it will be easier to bring the case to the end. Clutching at electrocast water heater, carefully pull it out (be careful: if you pull, without calculating the force, you can damage the rubber seal). Please note that next to the heater is the anode: his task is to protect the heater from corrosion. The old anode it is recommended to replace a new one. As for the heater, it can be cleaned using special chemicals or scratched with a knife, and then a metal brush for washing dishes. Don't forget to clean the interior of the tank from the build-up and plaque you can do this even by hand. All operations you do in a tight rubber gloves. To disassemble the water heater you need, if hot water is yellow, or emits an unpleasant odor, the boiler for too long heats the water either during operation emits a loud sounds as well as prevention.